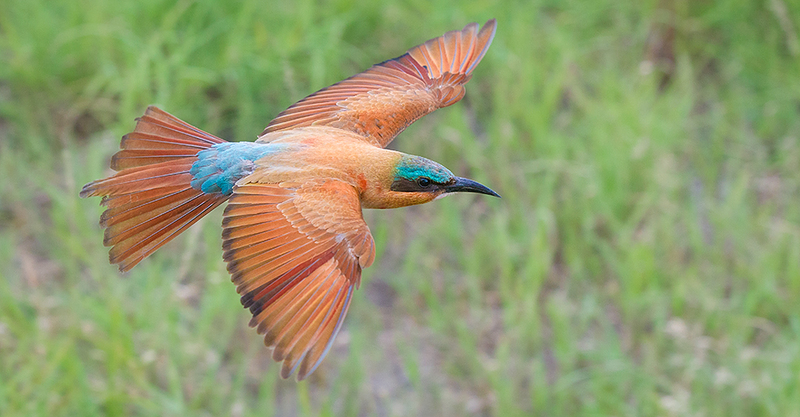 Botswana’s lush summer, its most productive and colorful time, offers natural spectacles most travelers miss. 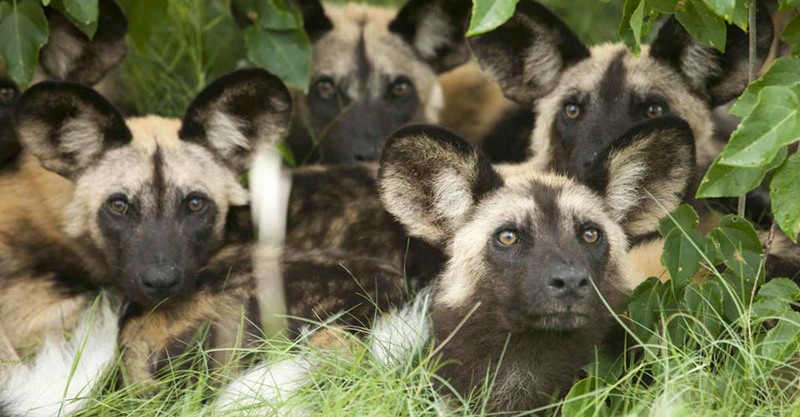 Sporadic light rains in the Kalahari mark a time of dramatic change, signaling a great influx of migrating wildlife and plains animal births—"bush babies" are everywhere! Photograph wildlife in the Kalahari, where high game concentrations and expansive open vistas make for some of the best cheetah viewing in southern Africa. Green vegetation springs to life on the bleached plains of Deception Valley, attracting herds from all over the reserve. 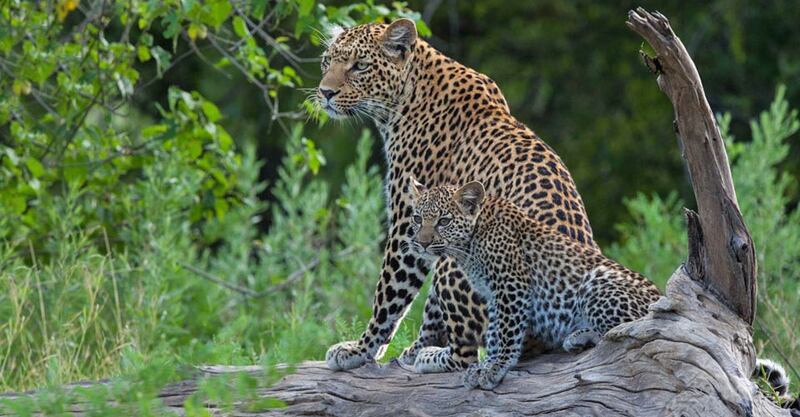 The drier region of the Okavango Delta bordering the Moremi Game Reserve also offers superb wildlife viewing, with stable populations of lion, leopard and wild dog active within a wide range of diverse habitats. Encounters with the natural world are more meaningful in smaller groups—that's why we limit this safari to a maximum of seven guests on regular departures and eight guests (which are divided into two vehicles of just four each) on photo departures. This especially small group size ensures the most personalized experience possible, in exceptionally secluded locations. This less-common itinerary offers an experience of Botswana's prolific wildlife during a season when new life is prolific but visitors are few. 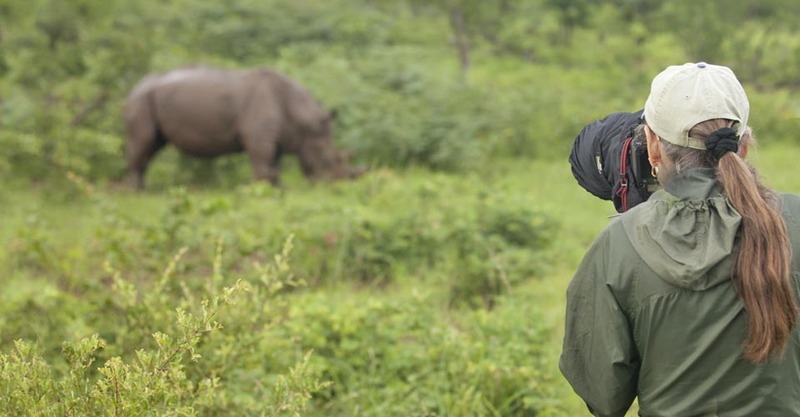 With the guidance of our conservation travel partner, World Wildlife Fund, we’ve designed it to maximize a diverse array of habitats and settings, for the best range of wildlife viewing. In counterpoint to more heavily visited national parks, we stay in seclusion on some of Botswana’s premier private reserves. 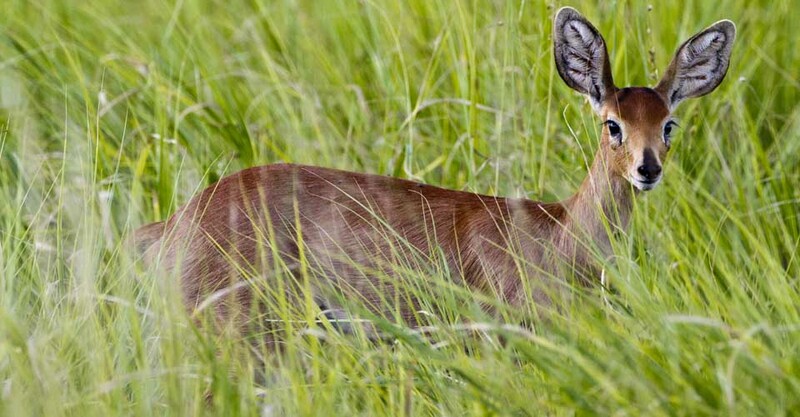 Wildlife viewing is excellent during the green season, when a range of habitats nourished by fresh rains supports a large herbivore and predator population. And, at this time of year, floodwaters are receding in some areas of the Okavango Delta, opening up vast areas for wildlife viewing on land. In addition to regular daytime safari drives, we also do exciting night drives (not allowed in public parks) in search of nocturnal wildlife. We charter light aircraft for private transfers between safari locations to enhance your time with wildlife and maximize your comfort, too, by eliminating long drives over rough dirt roads. Our photo safaris provide an additional baggage allowance for all your camera gear, too—a real plus when you start comparing operators and options. We make sure you have access to unimpeded views. 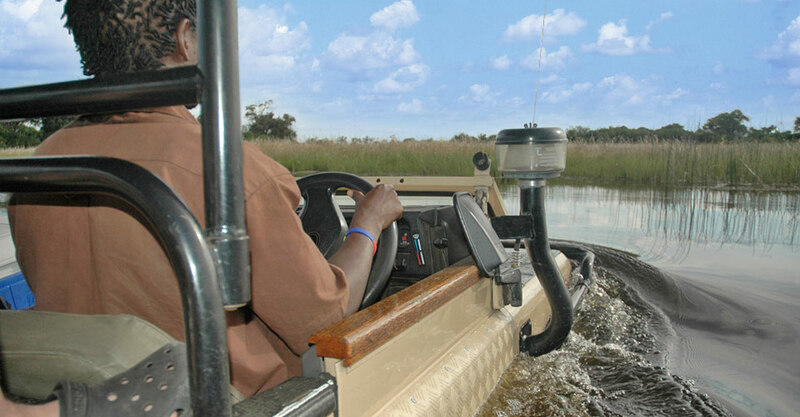 The private, top-quality safari vehicles we charter have open sides (no glass to interfere with your view) and 10 cushioned passenger seats—one in front next to the driver, followed by three rows of three seats each. Yet we limit our capacity to just seven travelers per vehicle on wildlife drives—and only four guests per vehicle on photo safaris! This ensures maximum comfort, viewing, space for gear and photo opportunities. Furthermore, the three rows of seats are tiered—those in the rear sit up higher so that no one’s forward view is impaired. 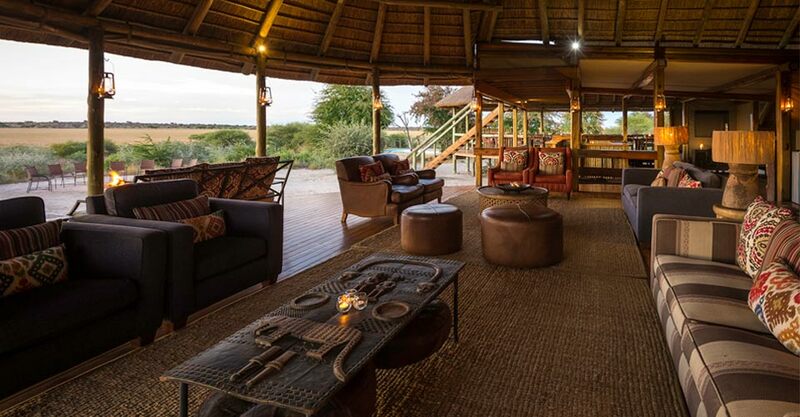 Our luxury tented safari camps have private verandas so you never miss a chance to encounter animals that may wander past—and enjoy the view from your own secluded space. 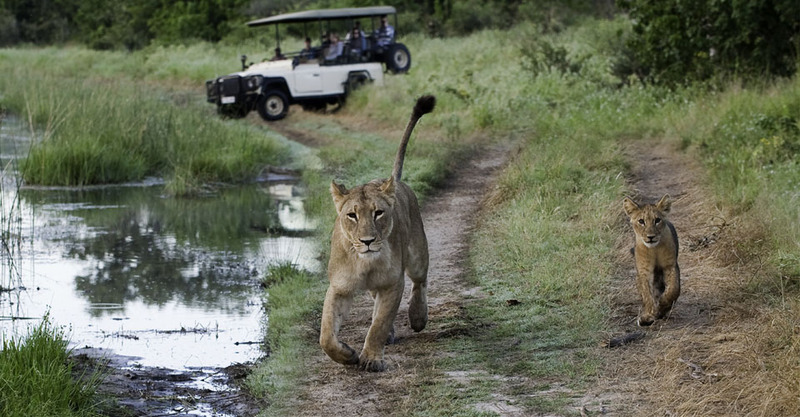 Our exclusive photo itinerary maximizes our proximity to wildlife during the green season. Anyone who's ever flown over Africa's wild terrain will tell you there's nothing like an aerial view of wildlife on the move. That's why we've added a thrilling helicopter flight to our photo safaris—with doors off for the best photography access! 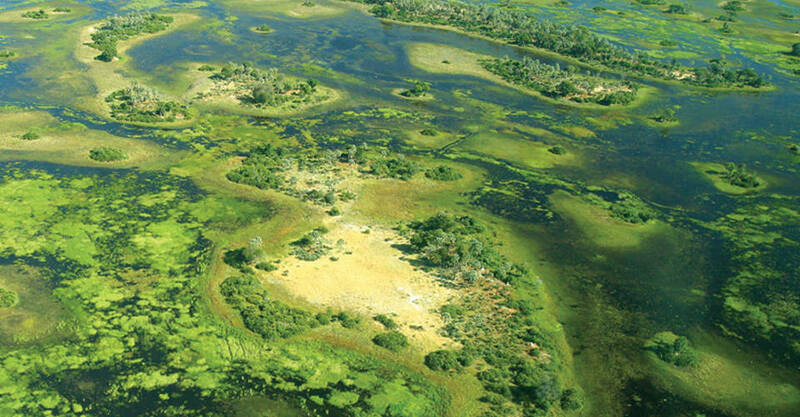 You'll soar over the Gomoti River and vast wetlands of the Okavango Delta, one of the richest wildlife enclaves in all of Africa. The Gomoti River is a year-round lifeline for animals, and the mosaic of habitats you'll survey from the sky provides ample food for a large array of grazing species and the predators that pursue them. We’re proud to provide some of the best trained, most experienced naturalist guides in all of Africa—and on our special photo tour departures, they are also among the finest photographers on the continent! 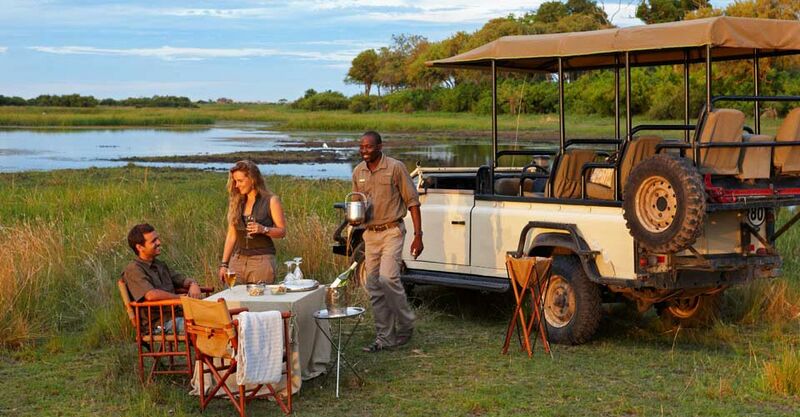 Rather than rely on various local guides at each camp, your NHA Safari Expedition Leader accompanies your group from start to finish, ensuring a highly personalized safari. Our Expedition Leaders are among the most qualified guides in Africa, averaging 15 years' guiding experience each, with additional training resources provided by WWF’s top scientists. 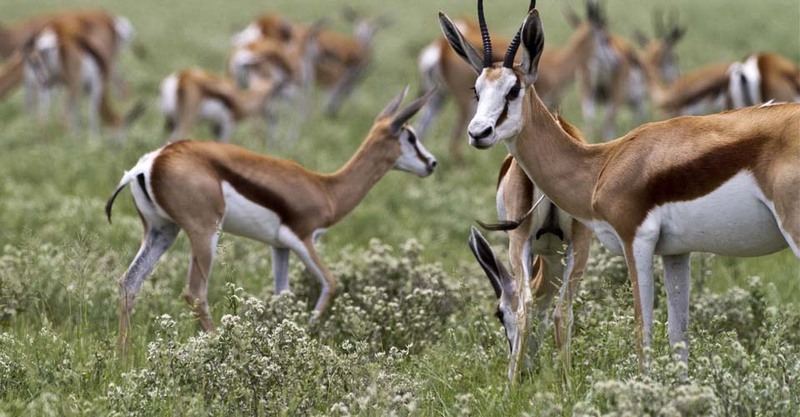 Our philosophy on this is simple: an African safari is only as good as the guide, so we must provide the very best! See Expedition Leader bios with traveler comments regarding the quality of our leaders. Every traveler receives Natural Habitat’s exclusive guarantee, which clearly states that we will meet the lofty expectations we set in our promotional materials. To our knowledge, this is the most ambitious guarantee made by any adventure travel company. Read our important promise. Fill out the form below to receive additional information about our Botswana: Kalahari, the Delta & Beyond. 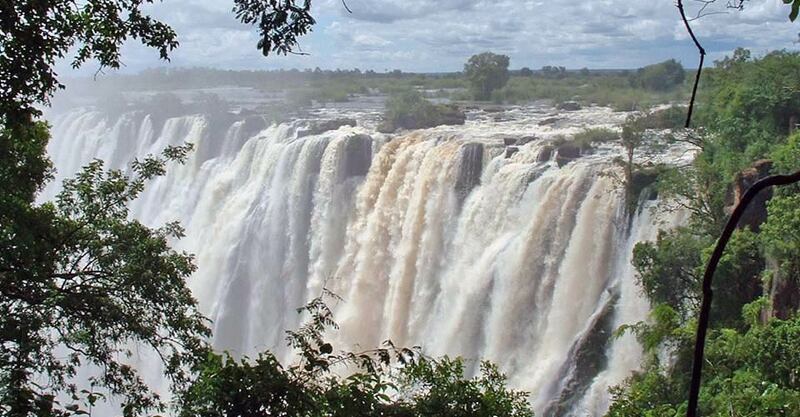 Hi Nat Hab, I’m interested in your Botswana: Kalahari, the Delta & Beyond. Can you please contact me with more information?